Matthew 25:21 is perfectly suited when it comes to recognizing the faithful service of those who give their time and talent: Well done, good and faithful servant. 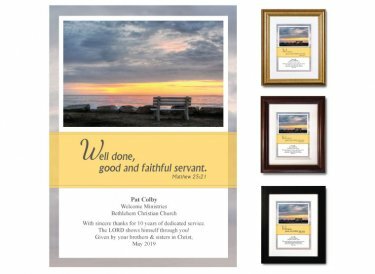 You'll personalize this keepsake with the recipient's name, job name, and the name of your church or organization. There are also two lines available for you to add your own custom personalization.